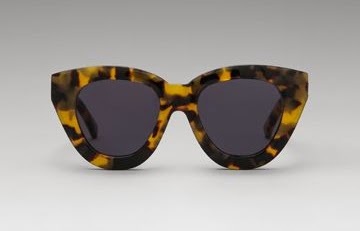 Since fashion bloggers started wearing Karen Walker's amazing sunglasses, these things have been flying off the shelves. And it's not hard to see why. Young women are inspired by the style of fashion bloggers... and Karen Walker's sunglasses are cool as hell. They're a mix of vintage and modern style frames. They're usually oversized (a sunglasses trend that is currently in) and most a come in tortoise (a color so chic and versatile)! Karen Walker's tortoise sunglasses also look amazing with colorful outfits!